When the S.D.U. 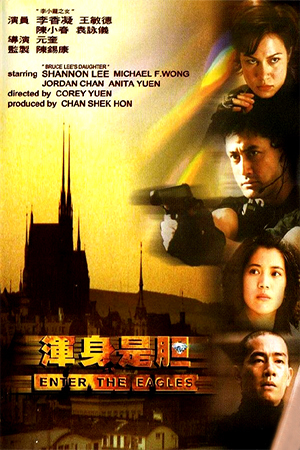 is called in to deal with a bomb planted on a school bus, one of the operatives, Kit, (Jet Li) is faced with the prospect of trying to save his own wife and daughter. Unfortunately the outcome is tragic and the distraught operative is left to spiral into depression. Years later, Kit now works as the secret stunt double of action superstar Frankie (Jacky Cheung) and takes all of the knocks that his employer gets credited for. With memories of the terrible loss of his wife and son continually torturing him, Kit survives one day to the next with little interest. A chance at redemption is provided when Frankie and Kit are invited to the grand opening of an illustrious jewellery showcase that is subsequently taken over by a band of expert thieves. Also trapped in this critical situation is Frankie’s entourage, scores of V.I.P. guests and an undercover reporter (Chingmy Yau) desperate to expose Frankie as a fraud. 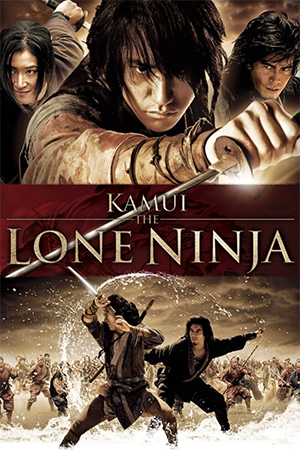 When the security services and authorities prove to be ineffectual, Kit is forced to draw on his past training to save the guests and thwart the robbery. However, the past comes flooding back when he realises that the mastermind behind the daring raid is the same man who was responsible for the event that destroyed his life years earlier. 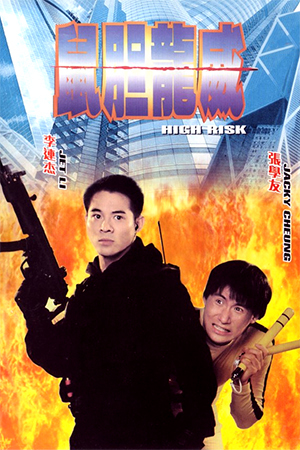 ‘High Risk’ is essentially a ‘Die Hard’ clone that doubles as a Jet Li vehicle, managing to succeed in both departments. That isn’t to say that ‘High Risk’ doesn’t have its problems though, as will be discussed. The main thing that grates here is the cowardly, awkward figure of Jacky Cheung’s annoying character Frankie. 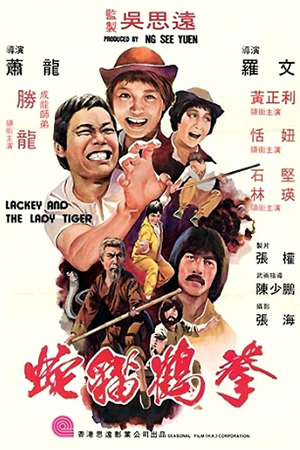 Coming from myself – a self-confessed Jackie Chan fan – this may be sour grapes as it’s clearly intended as a parody of Chan after director Wong Jing had fallen out with him during the filming of ‘City Hunter’. However, there seems to be a sizeable dose of unintentional irony in Wong Jing portraying Frankie as a crude, skirt-chasing buffoon; aren’t these the exact flaws that Wong seems to pride himself on? Aside from this, there is a tendency to drift towards inappropriate humour when the tension is building. 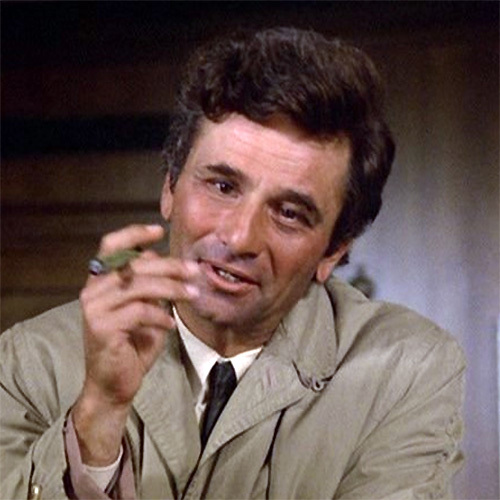 Therefore some of the film’s overall excitement is lost, though not to a detrimental degree. This action comedy is undoubtedly at its best when Jet Li is given centre stage and allowed to show off his smooth physical moves. Alongside his usual physical presence, Li also impresses with his general performance, managing to flesh out his character more than was expected. His command in the role of Kit also has a positive effect on co-star Chingmy Yau who makes an appealing sidekick after an initially frustrating start. Though it’s easy to commend various performances in ‘High Risk’, its main objective is to excite and this it does well. There are a series of tightly designed set-pieces that give the film its spark, culminating in a solid climax. Even Jacky Cheung is partially redeemed during a cleverly choreographed battle with Billy Chow. ‘High Risk’ highlights much of what is wrong with Wong Jing’s work, but also some of what is right; although Yuen Kwai’s influence is clear, Wong Jing holds the film together reasonably well. This isn’t a masterpiece nor is it among Jet Li’s finest productions, but there’s enough to enjoy here to scrape a four star rating.